Caltrans begins study to determine future role of Transbay Terminal once Transbay BART service begins. The Transbay Terminal is converted to a bus-only facility when the Key System rail stops running on the lower deck of the Bay Bridge. AC Transit begins utilizing the Terminal deck and ramps, along with other local and long-distance bus carriers. Photo Credit: San Francisco History Center, San Francisco Public Library. Following World War II and the prevalence of the automobile, rail travel began to decrease. 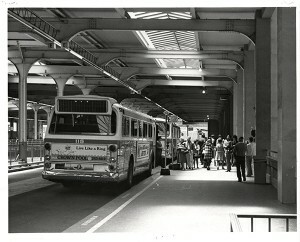 The final Key System train left the Terminal in 1958. 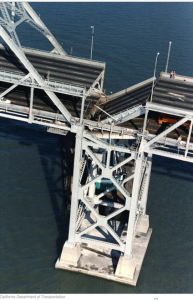 The railway is removed from the lower deck of the Bay Bridge. 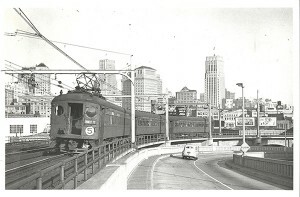 Photo courtesy of The Bay Bridge (Images of America) by Paul C. Trimble and John C. Alioto, Jr.
Southern Pacific Railway “Red Trains” cease operation to the Transbay Terminal. 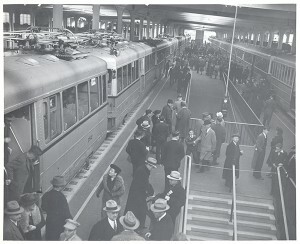 The Transbay Terminal is built in 1939 to accommodate rail service over the San Francisco-Oakland Bay Bridge. 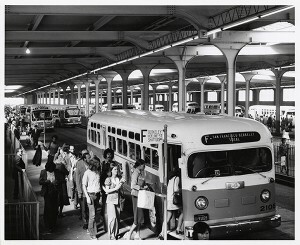 In its heyday, more than 26 million people used the Transbay Terminal each year. In 1936, the San Francisco-Oakland Bay Bridge opens. The construction of railway facilities is delayed while a cost-sharing plan is debated among state toll bridge authority and private railways. 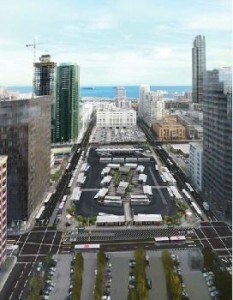 A site is selected for the Transbay Terminal rail services in downtown San Francisco. 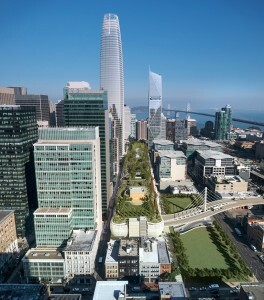 The new site at First and Mission streets is selected because it is the closest option near the center of activity in downtown San Francisco and connects to the new Bay Bridge. The Hoover Commission selects Rincon Hill to Oakland Mole, via Yerba Buena Island, as a route for the Bay Bridge. 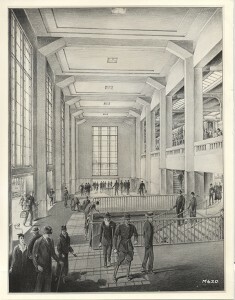 A temporary terminal constructed for Southern Pacific passenger service at Third & Townsend streets, to be completed in time for 1915 World’s Fair; plans are made to bring trains to a new terminal in downtown San Francisco, but are never realized. The “Bayshore Cut-Off” opens, giving Southern Pacific trains a quick route into San Francisco. The Loma Prieta earthquake rocks San Francisco in 1989, damaging the Transbay Terminal and surrounding freeway ramps. Caltrans’ Office of Structural Design completes designs for major revitalization of existing terminal, to bring the building up to current accessibility and life-safety codes. Metropolitan Transportation Commission approves Resolution 1876, calling extension of Caltrain to downtown San Francisco a top regional priority. Caltrans, as part of its responsibility for operating new Caltrain commuter service, develops plans to extend railway to Transbay Terminal. San Francisco Bay Area Transportation Terminal Authority (SFBATTA) study concludes; lowest-cost option is implemented, a minimal upgrade of the terminal. 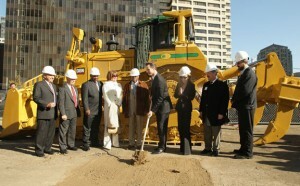 SFBATTA established to oversee operations and planning of the Transbay Terminal. San Francisco’s railway terminal is moved a block farther from downtown, to Fourth & Townsend streets, to make way for a freeway off-ramp that is never constructed. Transbay Transit Terminal Transportation Study released, calling for terminal with off-street facilities for all bus operators; peak capacity in new terminal would be 630 buses per hour, with direct ramps to Bay Bridge and US-101. Final report is issued and favors demolition of existing terminal with construction of a new regional transportation center to serve both commuters and long-distance passengers plus three million square feet of private development in air rights above the terminal. Proposition H is overwhelmingly adopted by San Francisco voters, which makes it City law to extend Caltrain tracks to a new or rebuilt regional transit station on the site of the Transbay Terminal, and to pursue other improvements. As part of seismic work to retrofit the Bay Bridge ramps, Caltrans proposes to eliminate the eastern ramp into the Transbay Terminal. Draft EIS/EIR for the Caltrain San Francisco Downtown Extension Project released but never certified. Transit Terminal Decision Report prepared, presenting three options for location of a new terminal. The Caltrain San Francisco Downtown Extension/Systems Upgrades Final Report is issued. Options considered include surface operation of Caltrain into the South of Market Area (SOMA) all the way to Market Street. The San Francisco Planning Department releases a Transit Terminal Study suggesting a location for the new terminal. Mayor Frank Jordan asks Caltrans to consider removing Transbay Terminal and replacing it with a smaller terminal. Peninsula Corridor Joint Powers Board takes over Caltrain operations from Caltrans. The Peninsula Corridor Joint Powers Board (PCJPB) and Metropolitan Transportation Commission (MTC) begin to study low-cost alternatives to bring Caltrain closer to downtown San Francisco. The administrative Draft of Caltrain Downtown Extension is released. Alternatives considered include a six-track terminal underground behind the Transbay Terminal, and a three-level underground terminal beneath Second Street at Market Street. The study never progresses due to lack of a funding plan, but provides the basis for continued study of extending Caltrain into downtown San Francisco. San Francisco Board of Supervisors certifies FEIS/EIR. TJPA and Peninsula Corridor Joint Powers Board certify the FEIS/EIR and select a Locally Preferred Alternative (LPA) alignment into downtown San Francisco. Design for Development Plan receives an Urban Design Award from the American Institute of Architects. 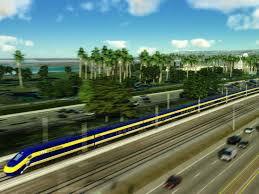 Regional Measure 2 bridge toll increase is approved by Bay Area voters and allocates $150 million in project funding. RFP issued for Engineering Design Services for the Caltrain Downtown extension (DTX) Project. Contract awarded to Parsons/ARUP/Jacobs Associates in December 2004. San Francisco voters pass Proposition K, a half-cent sales tax extension for transportation, which earmarks $270 million for Transbay Terminal/Caltrain Downtown Extension Program as long as the project includes the extension of Caltrain. California Senate Bill 916 sets foundation for Regional Measure 2, the Regional Traffic Relief Plan. State legislation passes which requires 35 percent affordable housing in the new Transbay Redevelopment Area and that the new Transbay Terminal at First and Mission streets be designed to accommodate bus, Caltrain and high-speed rail. Selection of Locally Preferred Alternative (LPA) by the TJPA Board facilitates release of approximately $9.3 million in federal and regional funds to continue planning and preliminary design of the Transbay Terminal. Draft EIS/EIR published and released for public review and comments followed by Public Hearings held by the San Francisco Redevelopment Agency. California Senate Bill 1856 requires that initial segment of California High-Speed Rail connect San Francisco Transbay Terminal and Los Angeles Union Station. The Transbay Program is included in the Metropolitan Transportation Commission’s Regional Transit Expansion Policy (MTC Resolution 3434) and the Regional Transportation Plan. City & County of San Francisco, AC Transit, and Peninsula Corridor Joint Powers Board enter into an agreement creating the Transbay Joint Powers Authority (TJPA), with a five-person Board of Directors. The Metropolitan Transportation Commission’s Bay Crossings Study begins to examine options for providing additional capacity across the bay. The study covers an area from San Francisco to Silicon Valley and includes all modes. Executive Committee of the Transbay Terminal Improvement Study Panel publishes design concept for new Transbay Terminal, an inter-modal bus and rail transit station to serve the Bay Area and the State. The plan also includes development of certain surrounding parcels and envisions a new transit-oriented neighborhood with retail, offices, and 3000 residential units. Environmental Review of the Project Begins. The City & County of San Francisco and Peninsula Corridor Joint Powers Board execute a Memorandum of Understanding (MOU) to be co-lead agencies for the Caltrain extension project. The Bay Area Toll Authority and the Transbay Terminal Improvement Study Panel select the preferred design for the new terminal: stacked configuration with Caltrain and high speed rail underground, joint use at ground level and on a mezzanine, two levels of bus bays and dedicated ramps connecting the bus decks to the Bay Bridge; the Plan is the result of a lengthy consensus-building design process that included needs of all operators. A groundbreaking ceremony launches the first step in the Transbay Transit Center program – construction of the Temporary Terminal, the temporary facility that will serve bus passengers while the new landmark Transbay Transit Center is under construction. Construction of the Temporary Terminal begins in fall 2008. The temporary replacement bus facility will serve bus passengers while the new multi-modal Transbay Transit Center is under construction. California Transportation Commission approves transfer of State land parcels to the TJPA, the City of San Francisco, and the SF Redevelopment Agency. Pelli Clarke Pelli Architects and Hines selected as winner of the Design & Development Competition. The TJPA launches an international competition to select a Design and Development (D/D) Team to design a Transit Center to be developed by the TJPA in downtown San Francisco and to design and develop a Tower adjacent to the Transbay Transit Center. The TJPA Board adopts a recommended implementation strategy to construct the program in two phases. Phase I includes constructing the station and the train boxes. Phase II includes the Caltrain and future high-speed rail line underground up Second Street into the new built-out train level of the station. The Transbay Transit Center/Caltrain Extension Project receives $55 million in federal funding from the long-awaited federal surface transportation bill, SAFETEA-LU (Safe, Accountable, Flexible, Efficient Transportation Equity Act: A Legacy for Users). Redevelopment Agency adopts Transbay Redevelopment Plan. 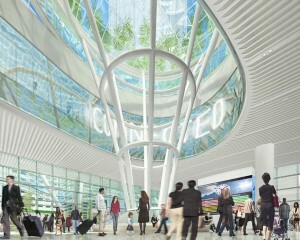 The Redevelopment Plan for the Transbay Terminal Project is adopted by the San Francisco Board of Supervisors. The Redevelopment Plan will transform the area surrounding the new station and create a new Transbay neighborhood with homes, parks and retail. Federal Transit Administration issues Record of Decision (ROD), confirming that the Transbay Terminal Project has satisfied all of the requirements of the National Environmental Policy Act of 1969 (NEPA) and completed the extensive federal environmental review process. 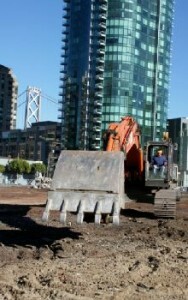 The TJPA begins preliminary engineering work on the Transbay Terminal Project. Construction of the new Transbay Transit Center is scheduled to be complete in 2017, creating a new, 1 million square foot Transit Center with above-grade bus level, ground floor and concourse-level retail and foundations for two below-grade levels to serve Caltrain and future high-speed rail service to Los Angeles. Mayor Ed Lee signs into law legislation that creates a Mello Roos Community Facilities District (CFD) for the Transit Center District Plan (TCDP) area, which surrounds the new Transit Center. Developers choosing to upzone in the TCDP area must pay a special CFD tax to fund infrastructure needed to support upzoned (i.e. taller) buildings. The CFD represents a major new funding source for the Transbay Transit Center Program. Bringing together thousands of steel elements manufactured and shopped at locations throughout the United States, assembly of the Transit Center’s steel superstructure begins in November 2014. The iconic Transbay Transit Center begins to take shape above ground. The foundation of the Transbay Transit Center is completed just 6 years after groundbreaking. The entire 5-foot thick, 4-block long mat slab foundation of the Transit Center is poured in an impressive 13 months. Work on the Transbay Transit Center’s new designated Bus Ramp begins with the demolition of existing footings. When complete, the ramp will connect the Transit Center directly to the Bay Bridge, keeping Transbay buses off busy downtown streets, improving bus commute times, and reducing traffic congestion. After two years of work, excavation for the Transbay Transit Center is complete. A total of 640,000 cubic yards of material from digging, trenching and preparation for foundation is removed and leads to the discovery of numerous artifacts, including the tooth of an approximately 12,000 year old Columbian mammoth. First concrete is poured for the permanent foundation for the new facility. The 5-foot thick cement foundation requires 60,000 cubic yards of concrete to cover the excavation. The foundation is poured in 15 segments, each of which requires approximately 4,000 cubic yards of concrete. The Transit Center District Plan is enacted by the City of San Francisco in order to allow upzoning of certain land parcels in the area surrounding the new Transbay Transit Center and to generate revenues to fund infrastructure in the Transbay neighborhood, including substantial revenues for the Transbay Program. 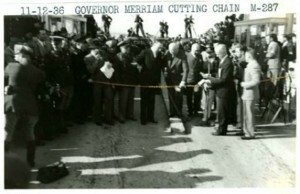 At an event on the Transbay construction site, Governor Brown signs high-speed rail legislation that will create thousands of new jobs in California by providing $8 billion in funding from Prop 1A for construction of the first segment of high-speed rail and infrastructure upgrades on the Northern and Southern “bookends” in San Francisco and Los Angeles. This includes crucial funding to complete the electrification of Caltrain, which will ultimately serve to bring high speed-rail and Caltrain into the new Transbay Transit Center. Demolition phase of the Transit Center is completed on time and on budget. Demolition entailed nearly 55,000 hours of labor, all of which were completed without accident or injury. Approximately 88 percent of this work was completed using local labor who worked diligently to recycle more than 7,500 tons of steel and 92,000 cubic yards of concrete—enough to fill 28 Olympic size swimming pools. The second phase of the Temporary Terminal construction begins following demolition of the east loop over the Temporary Terminal site. The removal of this outdated bus ramp allows construction of the Temporary Terminal to be completed and demolition of the Transbay Terminal to begin. Begin demolition of Transbay Terminal. Begin construction of Phase I of the project, including the Transit Center building and Train Box. Construction of Temporary Terminal (Phase I of Temporary Terminal) completed.